My name is Mark Chew (Yihaur), 28 from Malaysia. 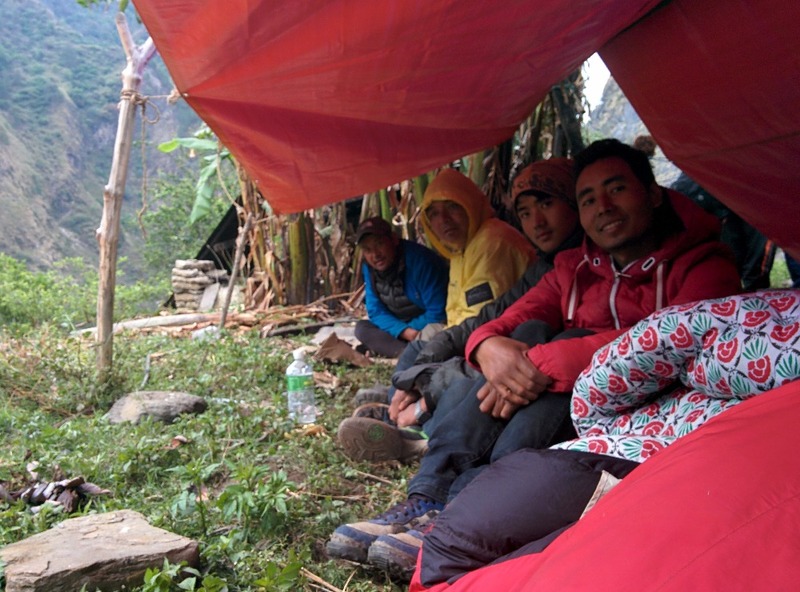 I recently went on a trekking trip (group of 12 Malaysians) to Nepal with Shyam, his son, and his extended family as our guides and porters in the Langtang Valley. We were on our way down the mountain when the earthquake struck. Shyam is a selfless man, who during the earthquake, risked his life to pull me up (and several others) from a ledge moments before being it was showered by a torrent of falling rocks. Unfortunately, i was hit by a rock soon after which injured my leg. It was not an easy task getting to safety over the next few days and i have Shyam to thank for his help throughout. While i have safely returned to Malaysia, to the comfort of my home, the same cannot be said about Shyam. 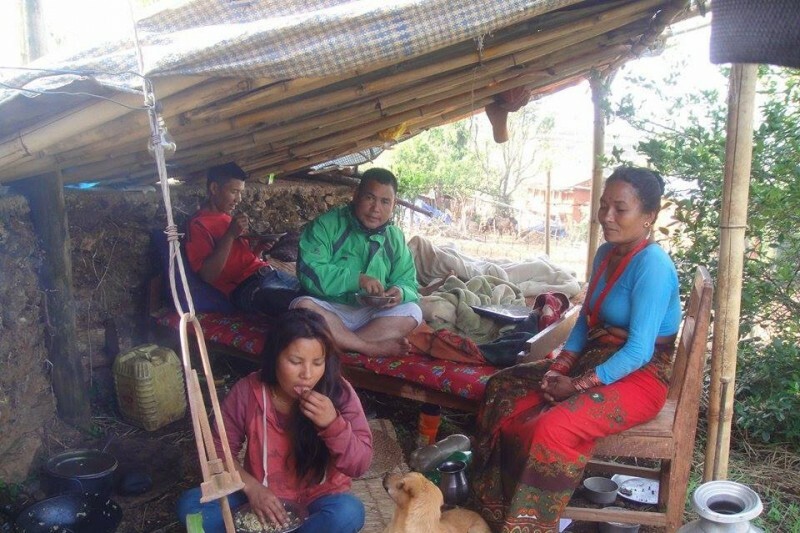 His home had been severely damaged during the quake and his entire family are still sleeping outdoors. Shyam has built his house over years of hard work, and i would like to plead to all of you to lend a helping hand for him to get back on his feet. 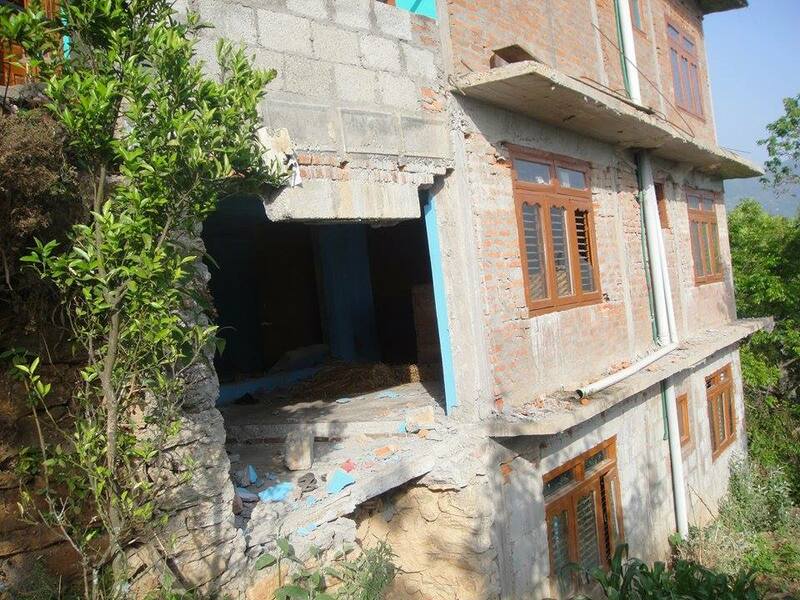 The money will be spent to rebuild his house and for emergency supplies, excess money will be used to help Shyams family - his cousins and uncles, who were also affected by the quake. I have an australian bank account which i will be using to transfer the funds to Shyam. 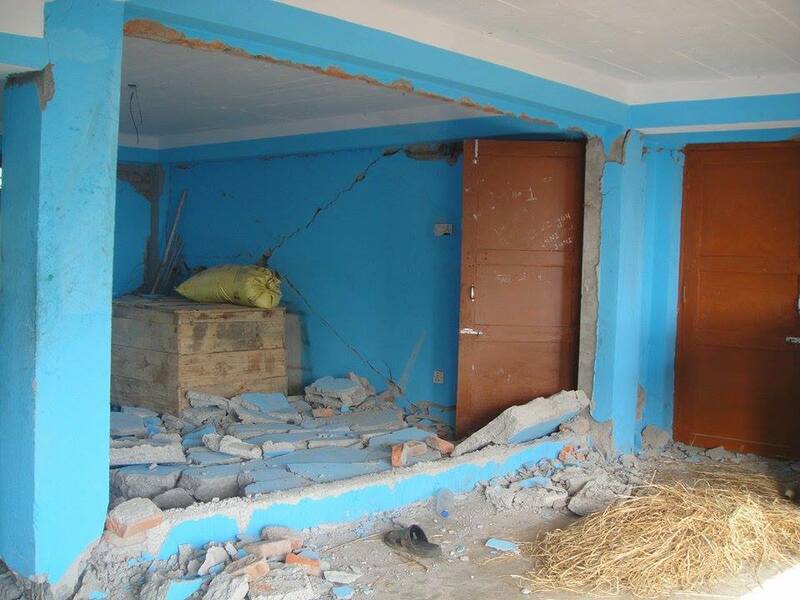 100% of the funds will be going directly to Shyam and his family to rebuild his home, and for relief efforts. 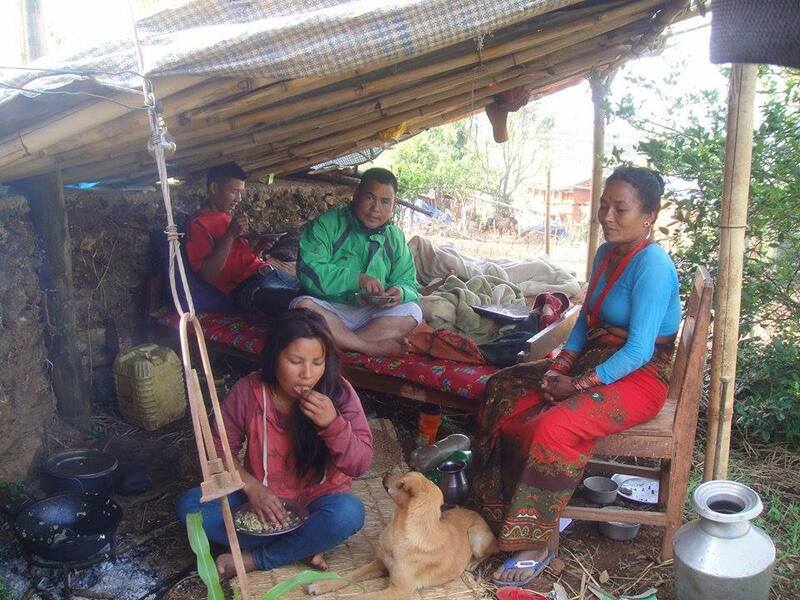 He is an A Grade trekking guide, and would recommend to anyone interested in trekking in Nepal, in due time of course. 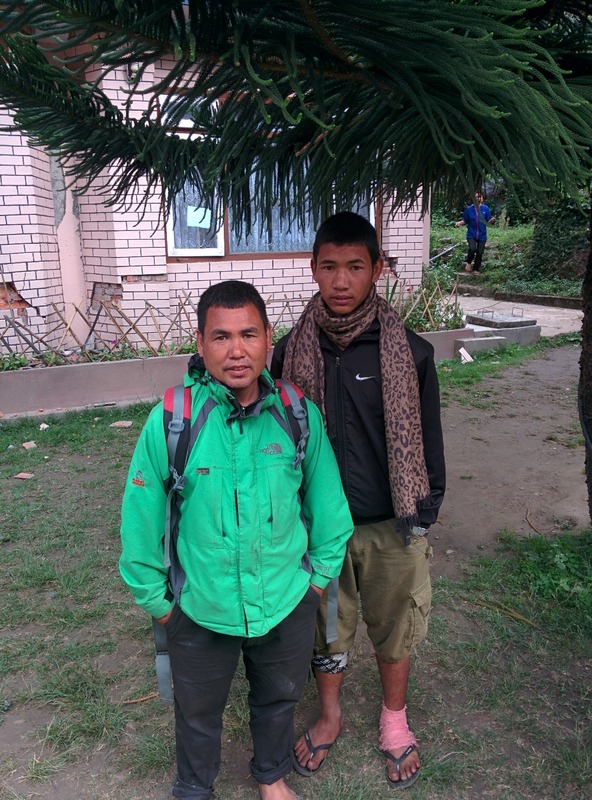 Just as an update, we have remitted all the money received to Shyam and his extended family. Thanks to everyone , they have received much needed money to help them get back on their feet. Collectively we have raised over $30,000 USD which will be going directly to the group who were with us. 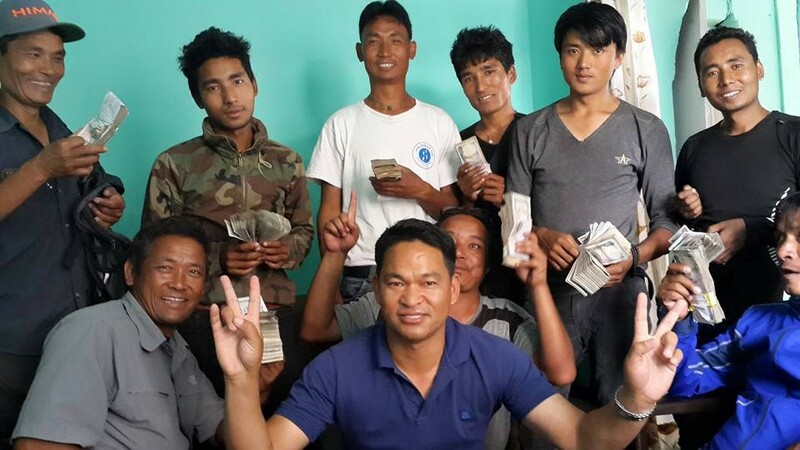 A portion of the money will also be used to help some of the villages that they reside in, with food, shelter, and necessary aid, which is being coordinated by my our helpful friend and partner, Pandap Gurung (center in the photo). Thanks to all of you who have helped, your kindness will not be forgotten. Just to update you, Shyam has received most of the money to date (Gofundme takes 7 days to transfer out). He and his family are fine from the second quake. Unfortunately his village was badly hit during the second quake, claiming a few lives, including children who were in a school during a quake. They are still living outdoors at the moment, but plan to start on rebuilding their new home soon. He would like to extend a warm thank you to all of you that have donated. Thanks for all the donations so far. I have been in contact with Shyam and he is holding up well. I will keep everyone posted. Hi Tony, the Syafru Besi town is mostly intact, although there will be some damage to he buildings. Unfortunately i do not have any more photos, if you have a photo of the guest house you can email it to me at yihaur@gmail.com and i will try and recall whether it's doing alright. Communication was scarce up in that region when i left. thoughts and prayers to shyam and his family as they rebuild their lifes. also big thank you for saving my buddy.